There’s no wonder why, considering the high cost of healthcare bills and the side effects of conventional medications, adding essential oils to your personal medicine cabinet can make a world of difference. 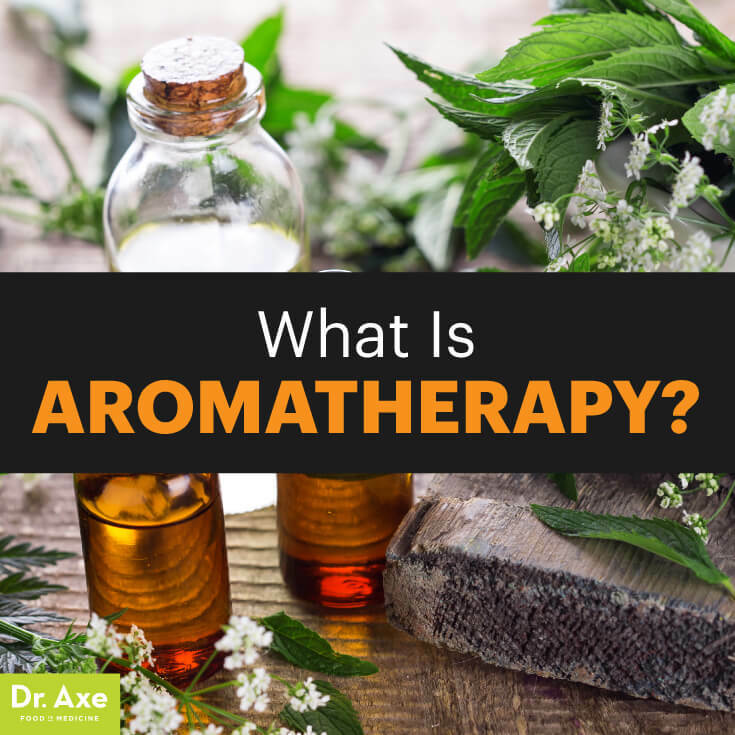 This is especially true because essential oils benefits are vast and their uses range from aromatherapy, household cleaning products, personal beauty care and natural medicine treatments. By concentrating the oils of these plants, you are literally separating the most powerful healing compounds of a plant into a single oil. So, are you ready to harness the power of the world’s most proven therapeutic compounds? Are you ready to learn which oils to use in your essential oil diffuser or in other ways? Explore the many essential oils benefits and uses, and open your mind to a whole new way of preventing and reversing health conditions that you’ve been battling for years. There are essential oils for hormones that can help to balance your estrogen, progesterone, cortisol, thyroid and testosterone levels. Some other essential oils that are helpful for digestion include fennel, lemongrass, marjoram, black pepper and juniper berry. Did you know that essential oils can help to boost your energy levels and even improve your athletic performance? Some oils have stimulating effects and can actually increase oxygen to your brain, which will leave you feeling refreshed, focused and energized. Some other great essential oils for energy include grapefruit, lemon, lemongrass, eucalyptus and rosemary. These are just some of the studies that have displayed the anti-anxiety and stress-relieving capabilities of essential oils. The best essential oils for alleviating aches and pains include lavender, peppermint, eucalyptus, chamomile, rosemary, majoram, thyme, frankincense, turmeric, ginger and myrrh. The best essential oils for skin and hair health include lavender, Roman chamomile, frankincense, tea tree, geranium, myrrh, helichrysum, rosemary and clary sage. Oils that help to promote internal detoxification include lemon, grapefruit, parsley, funnel, lemongrass, peppermint and ginger. Using detoxifying essential oils can help your body to flush out these toxins and it can clean the air of your home, too. 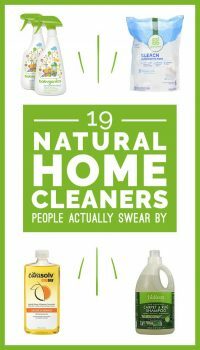 In fact, unlike most home cleaning products that are loaded with chemicals, essential oils can naturally clean your home by destroying harmful pathogens and pollutants. The best essential oils for reducing toxicity in your home or place of work include grapefruit, orange, lemon, lemongrass, eucalyptus, cinnamon, peppermint and tea tree. Essential oils work as natural headache and migraine relievers because they effectively treat the trigger, addressing the root of the problem instead of masking it, like painkillers do. Essential oils for headaches provide pain relief, improve circulation and reduce stress, which can be a major cause of both headaches and migraines. A placebo-controlled clinical trial conducted in 2012 evaluated the efficacy of inhaling lavender oil for the treatment of migraine headaches. Forty-seven patients with migraines were divided into two groups — one that inhaled lavender oil for 15 minutes and one that used a color and odorless liquid. Aside from lavender, some other oils that can help to relieve headache pain include peppermint, which has a cooling effect and stimulates blood flow, eucalyptus, which relieves sinus pressure by opening the nasal airways, and rosemary, which reduces inflammation, promotes circulation and has a calming effect. Another recent study, this one published in Nursing in Critical Care, investigated the effects of lavender oil on sleep quality among patients in the coronary intensive care unit (ICU). Sixty patients participated in the study and they were divided into the intervention group or the control group. Here are the many essential oil uses for your body (including oral, hair and skin care), general health (such as for allergies, digestion and sleep), the home (DIY all-purpose cleaner, mold killer, etc.) and recipes (including healthy sweets!). Age spot reducer: Put on frankincense essential oil three times daily directly on skin to improve sun spots and age spots. Blistered skin healer: Mix two drops of tea tree oil with two drops of unscented oil and apply to the blistered area up to five times per day. Body butter: Mix coconut oil, shea butter, magnesium oil and essential oils for moisturizing body lotion. Body spray: Add 5–10 drops to four ounces of water and use as a fragrant body spray. Breath freshener: Use a drop of peppermint essential oil (or Mentha piperita) for a natural way to freshen breath. Bruise healer: Use essential oils as a hot compress to treat bruises or other wounds. Add five drops of lavender oil and five drops of frankincense oil to four ounces of hot water and soak. Apply to affected area. Bug bite soother: Use lavender oil for bug bites and stings. Burn healer: Mix lavender essential oil with aloe vera to treat burns. Cellulite reducer: Mix five drops of grapefruit seed essential oil with 2 teaspoons of coconut oil and massage into dimpled areas. Dandruff remover: Mix five drops of rosemary and lavender essential oils with three tablespoons of an unscented carrier oil such as jojoba oil. Massage into your scalp and leave on for 10 minutes. Shampoo mixture out. Deodorant for women: Combine coconut oil, beeswax and your favorite essential oils like cedarwood and clove oil for men and lavender and tea tree oil for women. Deodorant for men: Combine coconut oil, beeswax and your favorite essential oils like cedarwood and clove oil for men and lavender and tea tree oil for women. Dry, cracked feet soother: Add three drops of lavender oil to two tablespoons of coconut oil. Apply to the feet at night and put on some socks. Eczema/psoriasis cream: To treat eczema, psoriasis or red dry skin, apply a mixture of lavender essential oil with shea butter. Facial scrub: Mix one-fourth cup yogurt, one-fourth cup cornmeal, and five drops of lavender, grapefruit and patchouli oils. Apply to face and wash off. Facial sugar scrub: Mix a few drops of an essential oil with almond oil and rock salt or sugar to make your own salt or sugar scrub. Foot bath: Add a few drops of lemon or eucalyptus oils to a large bowl of warm water to help soothe the feet. Hair conditioner: Mix 15 drops of rosewood oil with five drops of sandalwood and lavender essential oils into unscented oil. Place mixture in a small plastic bag and dunk into warm water to heat up. Apply to hair and wrap for 20 minutes. Shampoo as usual. Hair thickener: Add rosemary oil to shampoo to naturally thicken hair and increase volume. Itchy scalp helper: Add lavender, cedarwood or basil essential oil to shampoo to reduce itching. Lip balm: Combine coconut oil, beeswax and lavender oil for an amazing healing balm for chapped lips. Nail strengthener: Mix 10 drops of frankincense, myrrh and lemon essential oils into two tablespoons of vitamin E oil, then rub on cuticles. Oily hair reducer: Mix 10 drops each of ylang ylang, lime and rosemary essential oils with two ounces of an unscented carrier oil. Massage it scalp 2–3 times per week. Wash out as usual. Perfume: Use 1–2 drops of jasmine essential oil on your wrist as a fresh natural fragrance. Lavender and vanilla oils also agree with most women, while cypress and clove oils work well for men’s cologne. Shampoo: To make homemade shampoo, mix lavender oil, rosemary oil, aloe vera gel and coconut milk. Use as you would regular shampoo. It lasts 2–4 weeks. Skin toner: Mix eight ounces of water with two drops of lavender, geranium and frankincense oils. Sore feet reliever: Add 10 drops of peppermint oil with a tablespoon of Epsom salt and add to a warm-water foot bath. Stretch mark reducer: Mix five drops of frankincense, myrrh and grapefruit seed essential oils with coconut oil and apply to stretch marks. Sunburn soother: Combine lavender or chamomile oil with one tablespoon of coconut oil and apply to the skin with a cotton ball to reduce swelling and pain. Sunscreen: Mix coconut oil, zinc oxide, shea butter, helichrysum oil and lavender essential oil, then store in a squeeze bottle to make homemade toxic-free sunscreen. Toothpaste: Combine sea salt, baking soda, coconut oil and xylitol with peppermint essential oil to make homemade remineralizing toothpaste. Then brush. Wrinkle reducer: Mix 3–5 drops of sandalwood, geranium, lavender and frankincense essential oils with an unscented lotion and apply to face. Avoid applying to eyes. Achy muscle rub: Mix eucalyptus, wintergreen and cypress oils with an unscented lotion or coconut oil and apply to muscles. Allergy fighter: Rub frankincense and lavender essential oils on your palms and inhale deeply to relieve itchy eyes and throat. Anxiety reducer: Diffuse lavender essential oil around your home to reduce feelings of stress and tension. Arthritis reliever: Mix two drops of wintergreen, cypress and lemongrass oils into an unscented lotion. Massage into affected areas. Asthma remedy: Make a homemade vapor rub by combining eucalyptus, peppermint and coconut oil. Rub on your chest and neck. Back/neck pain reducer: Combine peppermint, cypress and ginger oils with cayenne pepper and coconut oil for a homemade muscle rub. Broken bones helper: To support the healing of broken bones, apply helichrysum, fir and cypress essential oils. Circulation improver: Add 8–10 drops of grapefruit essential oil to warm bath water. Cold reliever: Take three drops of oil of oregano and frankincense oils three daily for one week. Concentration helper: Inhale bergamot, peppermint or grapefruit seed essential oils to increase concentration during the day. Cough reducer: Eucalyptus essential oil is known for its powerful ability to fight coughs and open airways. Add a few drops into steaming hot water or diffuser. Inhale to help clear nasal passage. Depression reliever: To boost mood and relieve depression, add rose essential oil to baths, inhalations and diffusers to improve mood. Digestion helper: Take ginger, peppermint and fennel essential oils to support digestion and healing leaky gut. Fever reducer: Add 1–3 drops of eucalyptus, peppermint and lavender essential oils to a cool cloth and sponge the body. Food cravings curber: Inhale peppermint and cinnamon essential oils to reduce your appetite and balance blood sugar. Hangover reliever: Add six drops each of juniper berry, cedarwood, grapefruit, lavender, rosemary and lemon oil into a warm bath. Head lice remedy: Mix three drops of thyme, lavender and eucalyptus oils with unscented oil and apply to scalp. Cover head with a shower cap and leave on for 30 minutes. Shampoo out. Immune system booster: Mix one drop of oregano oil with four drops of carrier oil and rub on the bottom of your feet before flying on a plane. Love potion: For a cute bridal shower gift or for you and your partner, create a “love potion” with essential oils. Add 20 drops of sandalwood essential oil, and four drops of cocoa, vanilla and rose oil to unscented lotion. Migraine/headache reliever: Try combining a few drops of lavender oil and peppermint oil and apply to temples to help with headaches and migraines. Morning sickness reducer: Add a few drops of wild orange, lemon or ginger oil to a handkerchief and inhale. Motion sickness reliever: Use peppermint, lavender and ginger essential oils to reduce motion sickness. Nausea reliever: Breathe in peppermint oil through your nose to get rid of nausea, and also apply to your neck and upper chest. Ginger and lavender may also help. PMS reliever: Mix two drops of sage, basil and rosemary oils, then apply to a warm, moist hand towel and apply to abdomen. Poison ivy/poison oak remedy: Mix three drops of peppermint oil with unscented oil and apply to affected area. Relaxation mixture: Apply 2–4 drops of chamomile, lavender and peppermint essential oil to your temples for a cooling effect and immediate relaxation. Ringworm remedy: Combine three drops of tea tree oil with coconut oil and massage over the affected area twice a day. Sleep aid: Lavender oil can alleviate insomnia. Sprinkle a few drops on your pillow to help you fall asleep. Teeth grinding stopper: Massage 1–3 drops of lavender on the bottom of the feet and behind ears before bed. Tension reliever: Help to relieve anxiety by using a single drop of lavender oil on your hands, rub together, and cup your hands to your nose and let the smell flood your senses. Upset child smoother: Help soothe and calm children by adding lavender or chamomile essential oils to their stuffed animals. Weight loss: Combine grapefruit, ginger and cinnamon oil and take as a supplement three times daily to support metabolism. Workout energizer: Inhale peppermint oil before a workout to reduce fatigue. Air cleaner: Diffuse cinnamon essential oil in the air and enjoy its anti-microbial properties. Air detoxifier when painting: Add peppermint and eucalyptus oil to a gallon of paint to dispel fumes. All-purpose cleaner: Add three drops each of lemon essential oil and tea tree oil (melaleuca) to a few ounces of warm water, then spray countertops to naturally disinfect. Burnt pans cleaner: Use a few drops of lemon oil and some boiling water to help remove burnt food from pots and pans. Christmas scent: Add a drop of pine, sandalwood or cedarwood essential oil on a fire log about 30 minutes before burning. Dishwasher fluid: Add a few drops of lemon oil to the dishwasher before washing for a spot-free rinse. House fragrance: Diffuse clove, rosemary and orange essential oils when guests come over, and they will talk about how amazing your house smells. Kitchen odor eliminator: Add a few drops of clove, cinnamon or citrus essential oil to a simmering pan of water to get rid of cooking odors. Medicine cabinet: Makeover your medicine cabinet and create a family physician kit with essential oils of lavender, lemon, peppermint, tea tree, oregano and frankincense. Mold killer: Add tea tree oil to your diffuser to kill mold and other pathogens in the air. Mosquito repellent: Combine one drop each of lemongrass oil, citronella oil and eucalyptus oil with one teaspoon of coconut oil to make natural bug spray and rub on exposed skin. Reapply as needed. Pest killer: Combine orange and clove oils and then spray to kill pests on contact. Produce washer: To clean fruit and vegetables, add two drops of lemon oil to a large bowl of water, then wash.
Refrigerator cleaner: To freshen up the fridge or freezer when cleaning, add a few drops of lime, grapefruit or bergamot oil to the rinsing water. Shoe smell eliminator: To remove the smell from shoes, add a few drops of tea tree oil and lemon oil to freshen them up. Shower scum remover: Using a 16-ounce spray bottle, use four drops of eucalyptus essential oil and four drops of tea tree oil with warm water; spray onto your shower for natural mold-killing action. Smoke eliminator: To remove cigarette smoke, put four drops of rosemary, tea tree and eucalyptus oil in a spray bottle and spray around the house. Sports gear freshener: If your kids play sports, add two drops each of tea tree oil and lemon essential oil to one quart of warm water; next add four tablespoons of baking soda and mix. Use to clean ripe (!) jerseys, cleats and sports gear. Trash can freshener: Put a cotton ball with two drops each of lemon oil and tea tree oil at the bottom of the trashcan to help decrease the odor and detoxify. Vacuum cleaner freshener: Add 5–10 drops of your favorite oil in your vacuum bag or dust container. Washing machine freshener: Add 10–20 drops of your favorite scent per load. Lemon water: Use 2–3 drops of lemon essential oil in water for a delicious citrus flavor. Mint chocolate cocoa: Add 2–3 drops of peppermint essential oil to hot cocoa for instant minty chocolate! Mint tea: Use 1–2 drops of peppermint essential oil in your favorite tea for a hint of mint. Peppermint patties: Use peppermint essential oil, coconut oil, dark chocolate and raw honey to make real peppermint treats. What are the best essential oils to start with? Lavender: heals burns, cuts, rashes, stings, reduces anxiety and promotes restful sleep. Peppermint: improves joint and muscle pain, relieves digestive issues, reduces fevers, clears sinuses, improves asthma and bronchitis, and relieves headaches. Frankincense: reduces inflammation, heals bruising, reduces scars, boosts immunity and promotes emotional well-being. Tea tree: has antibacterial and antifungal properties, can be used to prevent and reduce infections, and cleans the air of pathogens and allergens. How do I know which essential oil to buy? To learn more about how to use the best essential oils, check out my free, in-depth Essential Oils Guide.